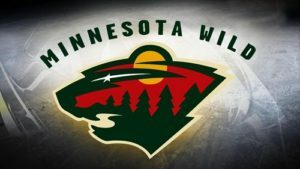 Minnesota Wild are one of the newer teams in the National Hockey League (NHL), barely 20 years old. The team was founded in the year 1997 but only started playing professionally in the year 2000. Minnesota Wild falls under the Central division in the Western Conference. The team’s home base stadium is the Xcel Energy Center. With just under 18 years of statistics and trends to sift through, the Wild is probably the easier of most teams in its conference to study for betting trends and calculate odds. Since inception, Minnesota Wild has only managed to win one Division Championship in the 2007- 2008 season under Jacques Lemaire. He scored his 500th win in his coaching career with that victory. In the previous season of 2006-2007, the Wild led the league with the highest points throughout the season. Minnesota Wild seems to play well throughout the season and then choke at the playoffs. However, they do well offensively, (not as well as they should obviously) because their average goals scored by the team is high per season. They are also always in the top five throughout all the seasons they have played in the different divisions.